Pickup has been replaced with newer Kent Armstrong unit, otherwise very original. 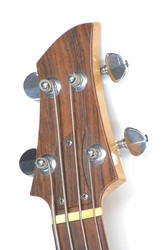 "Now here's a bass you won't see every day! It's a very early build Ampeg Dan Armstrong ARMB-1 bass, serial number D757A, dating from 1969. 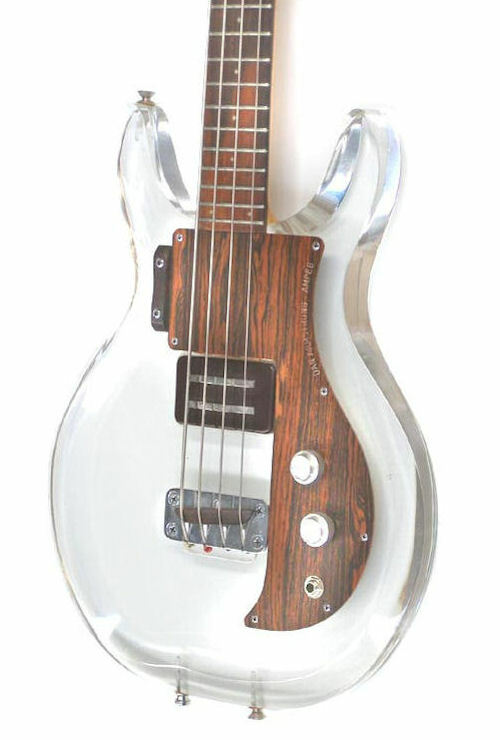 It's a Gibson-style short scale, at 30.5 inches, making the bass perfect for those with smaller hands, or those who also play guitar." 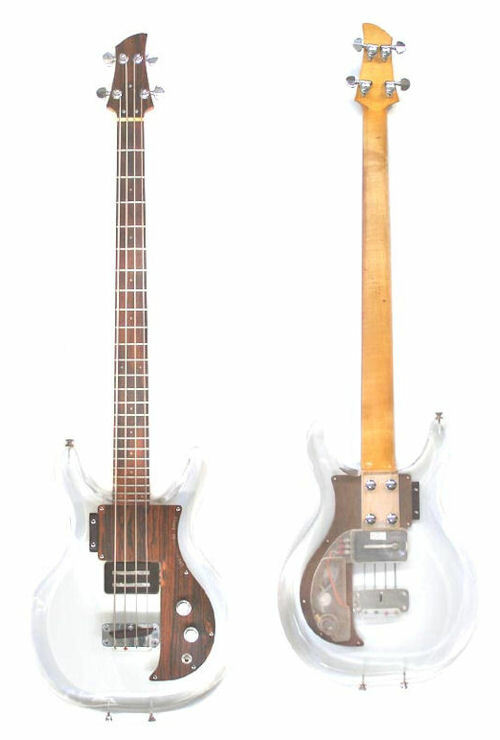 "These basses (and guitars) caused quite a stir back in '69, and at one stage The Rolling Stones' Keith Richards and Bill Wyman both sported a clear lucite Dan Armstrong guitar and bass respectively! (Amplified, of course, by Ampeg amplification.)" "The pickup is actually a "stacked" pickup, meaning it is actually two pickups in one. It utilizes a high impedence bass coil which is positioned below a low impedence treble coil. By adjusting the tone control, the two coils blend together for a wide variety of sounds. When the tone control is all the way down, the signal passes through a capacitor and the high impedence coil - resulting in a very low bass. 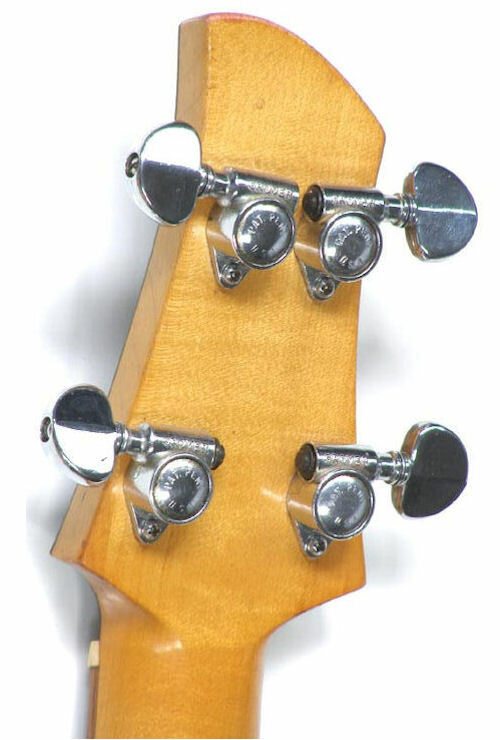 As the tone knob is turned up, the signal also passes through the low impedence coil, thus blending in the treble as the lower bass sounds begin to fade. 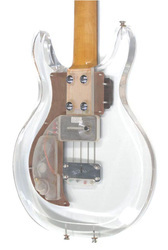 The blending of these two pickups, or sounds, is strictly a matter of personal taste." 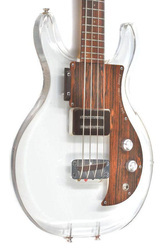 "The condition of this extremely rare bass is astounding. 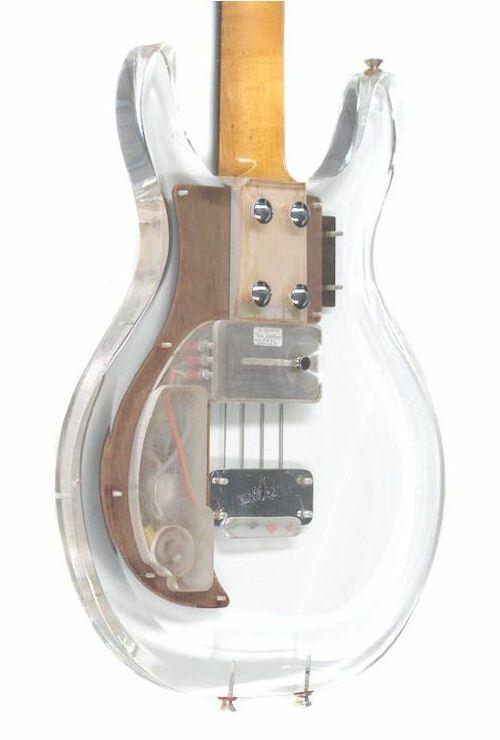 The body has just one chip on the rear lower edge (just visible in the detailed pics viewable with the 'more pictures' link below), and hardware of the guitar is all original, right down to the aluminium knobs. 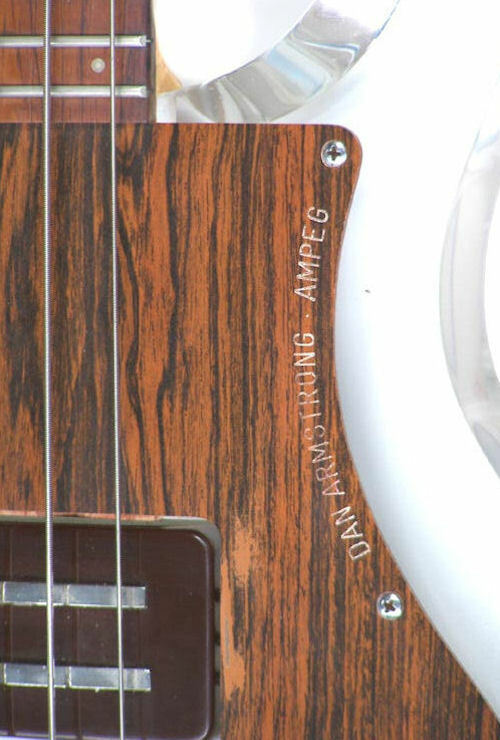 The pickup has been restored and rewound at some stage in the last 38 years by none other than Dan Armstrong's son, Kent Armstrong! The bass comes with its original hard shell case, which shows plenty of marks and scars indicating that it's been keeping the bass well-protected."